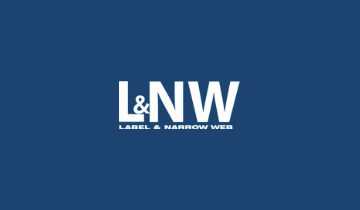 Proliferation of e-commerce platforms in the last decade substantially bolstered sales of personal, skin care, baby care, and home care products which, in turn, helped sodium cocoyl isethionate market register a CAGR of 3.8% during the 2013-2018 period. 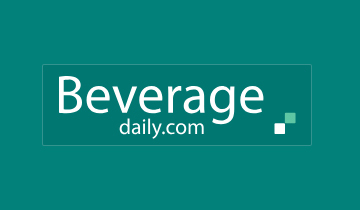 The sodium cocoyl isethionate market was valued at over US$ 155 million in 2018. 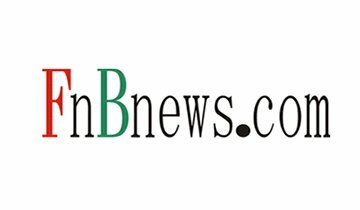 A surge in the demand for natural ingredients in personal and home care products is likely to propel sales of sodium isethionate with the market estimated to witness a Y-o-Y growth of more than 4.5% in 2019. 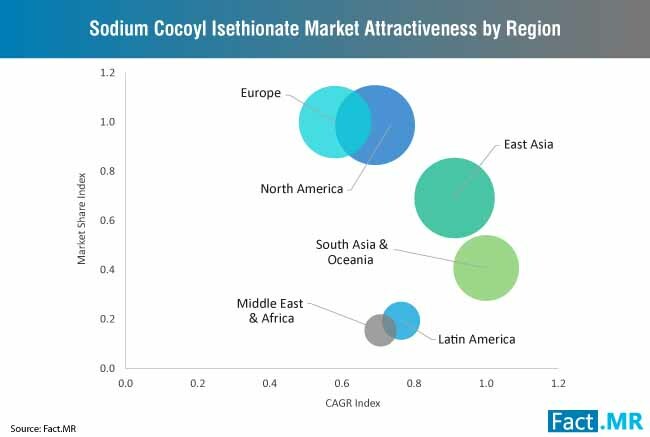 North America is expected to retain the bulk of the sodium cocoyl isethionate market share with personal care goods manufacturers intensifying the use of natural ingredients in product formulations to meet the burgeoning demand in the region. 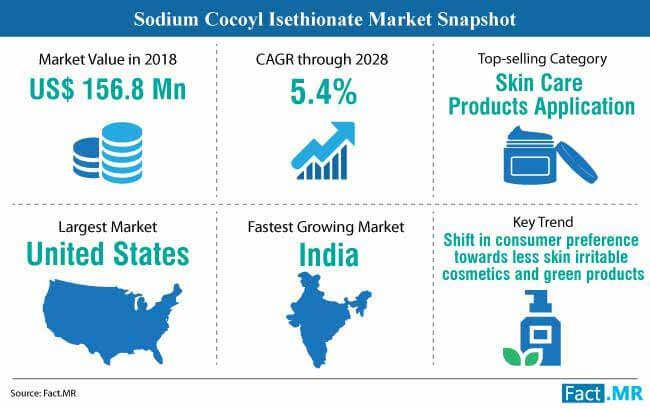 South Asia & Oceania is likely to emerge as the fastest growing region for sodium cocoyl isethionate market as personal and home care product manufacturers continue to use aggressive marketing and e-commerce platforms to extend their consumer base. Note: For more key insights into the sodium cocoyl isethionate market, request a sample. What are the Key Dynamics Aiding Sodium Cocoyl Isethionate Market Growth? 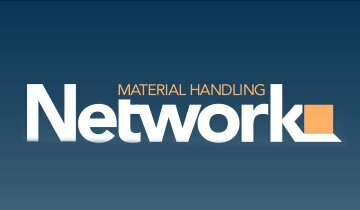 A gradual increase in consumer expenditure on personal and home care products manufactured using natural ingredients is a pervasive trend prompting companies to invest heavily in the inclusion of naturally occurring substances. The trend is expected to fuel demand for sodium cocoyl isethionate with sodium-based salt being derived from coconut oil exhibiting superior cleansing and foaming properties making it a suitable candidate for use in personal and home care products. With sustainability emerging as a key factor influencing consumer choices, personal care industry is increasingly using sodium cocoyl isethionate in product formulations while aggressively marketing these products as zero waste producers. Growing consumer consciousness about the ingredients used in personal care and cosmetics is creating a demand for natural alternatives to sulfate surfactants which are increasingly being linked to causing irritation of the skin and development of allergies. The compound is expected to increasingly replace sulfate-based surfactants in shampoos, soaps, and other skin care products owing to its superior foaming and cleansing properties and mild nature, a factor which is expected to propel sodium cocoyl isethionate market growth. Sodium cocoyl isethionate exhibits exceptional mildness and superior cleansing, emulsifying, and foaming properties making the chemical compound highly suitable for use in baby care products such as shampoos, soaps, wipes, and cleansing bars. With UN estimating the global population to surpass 11 billion by 2100, demand for baby care products is estimated to surge. Increasing accessibility to the chemical compound coupled with the availability of various do-it-yourself (DIY) recipes for producing homemade face washes, cleansers, and shampoos are fueling the uptake of the chemical at a small scale. The pervasive trend is likely to boost cocoyl isethionate market growth. Note: For detailed information on variegated factors driving the sodium cocoyl isethionate market growth, request a sample. What are the Key Challenges Stifling Sodium Cocoyl Isethionate Market Growth? High cost and complexity of extracting sodium salt from coconut oil poses a daunting challenge to sodium cocoyl isethionate market growth. Additionally, its opaque appearance is expected to dampen its use in cosmetics and other liquid personal care products where transparent esthetics is a key requirement. Although sodium cocoyl isethionate is exceptionally mild to the skin and exhibits efficient foaming properties, the presence of isethionate ester in the compound increases the dissolution of soaps using the chemical. Additionally, studies have suggested the production of excess mush when using soap bars manufactured using sodium cocoyl isethionate-based surfactants. The drawbacks in the formulation are likely to dampen sodium cocoyl isethionate market growth. Consumers using soaps and shampoos with isethionate-based surfactants have reported requirement of extra rinsability to wash off the slimy feeling left behind due to residue formation on the skin. 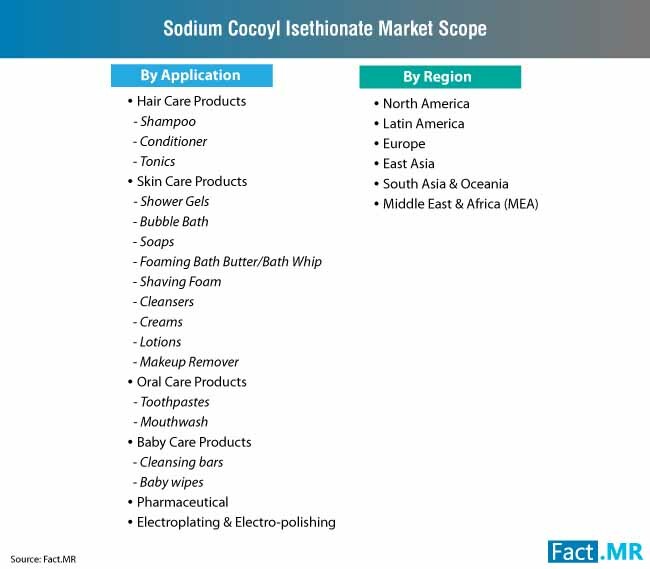 The factor poses a threat to sodium cocoyl isethionate market growth with consumer behavior patterns suggesting a preference for soaps and shampoos that can be easily washed away. With demand for sulfate-free surfactants on the rise, Evonik launched a range of surfactants containing a combination of sodium cocoyl isethionate and thickening agents specially manufactured to meet the demands of skin and hair care products. To capitalize on the pervasive trend of sustainability, Lamazuna launched the first-of-its-kind solid toothpaste with sodium cocoyl isethionate as the cleansing agent and surfactant in the oral care product. The company is marketing the product as a zero waste producer and is using degradable cardboard for packaging of the toothpaste. Banking on the growing demand for natural ingredients-based home care products, Capucin announced the launch of Cake Vaisselle, a high-performance solid soap for cleaning dishes and utensils with sodium cocoyl isethionate as the main component in its formulation. Increasing reports of irritability from using shampoos using sulfate-based surfactants is prompting companies to introduce sulfate-free shampoos and hair care products. In order to capitalize on the growing demand for sulfate-free hair products, Solvay launched Miracare SOFT S-525 shampoo which leverages the high foamability and efficient cleansing action of sodium cocoyl isethionate. 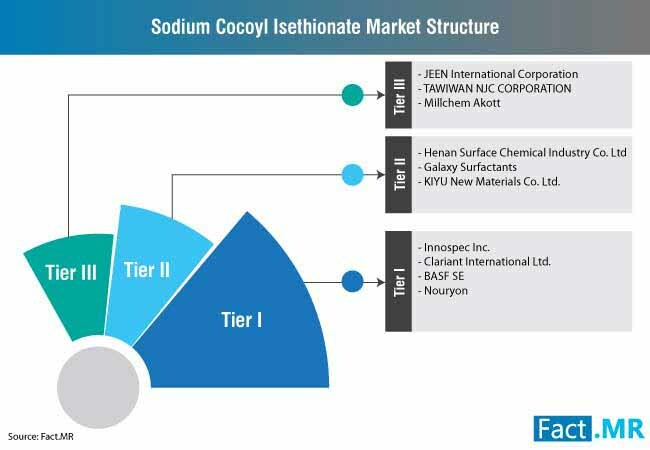 Some of the key players operating in the sodium cocoyl isethionate market are BASF SE, Galaxy Surfactants Ltd., AkzoNobel N.V., JEEN International Corporation, KIYU New Material Co. Ltd., Taiwan NJC Corporation, Clariant International Ltd., Innospec Inc., Henan Surface Chemical Industry Co Ltd., Millchem-Akott, and Huanggang Yongan Pharmaceutical. Burgeoning demand for natural and organic personal care products, in addition to sodium cocoyl isethionate’s superior lathering properties, mildness towards skin, moisture retention, and cleansing capabilities are some of the factors expected to drive widespread adoption of the chemical compound as surfactant in skin care products such as soaps, creams, lotions, cleansers, bubble baths, shaving foam, and makeup remover. Its eco-friendly and sustainable nature in addition to its efficient cleaning action is expected to aid its adoption in hair, oral, and baby care products. Demand for the chemical compound in pharmaceuticals and electroplating applications is also expected to burgeon in the foreseeable future and aid in sodium cocoyl isethionate market proliferation. The report on sodium cocoyl isethionate market is a consequence of the robust and elaborate research methodology employed during the compilation of the report. A two-step research process involving primary and secondary researches was conducted to obtain invaluable and actionable insights into the sodium isethionate market. Primary research was conducted by interviewing seasoned experts from the sodium cocoyl isethionate market while secondary research involved a thorough study of company press releases, trade journals, paid sources, and other publications related to the sodium cocoyl isethionate market. Results from both steps of the research were triangulated with each other to create an accurate and authentic forecast of the sodium cocoyl isethionate market. 21.9. Henan Surface Chemical Industry Co Ltd.